The optics, as they say in political circles, were not good. 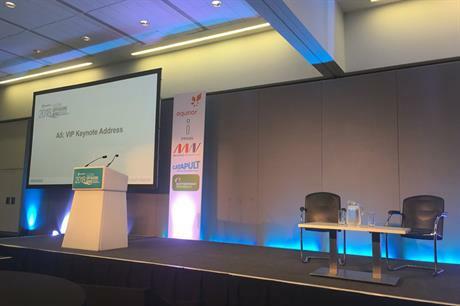 The UK's offshore wind industry leaders gathered at Manchester for the sector's annual conference, confident that their ambitious growth plans would be supported by an address from the government's energy and clean growth minister. But Claire Perry MP, never made it to the conference. She was held back in London for a "crucial" vote in Parliament pertaining to the terms of the UK leaving the European Union (EU). The vote, not surprisingly, turned out to be not so crucial after all, just another exercise in kicking the can down the road. Brexit’s force field of uncertainty continues to trump all long-term policy direction in the UK. The energy generation sector is not alone in calling for some clarity and visibility. But the UK offshore wind industry set out a compelling case at RenewableUK’s Global Offshore Wind 2018 conference for 30GW of operating capacity by the end of the next decade. The plan addresses the energy trilemma — cutting carbon emissions, ensuring supply security, keeping consumer costs down — and highlights the positive impacts of skilled employment and improved infrastructure in areas of the country that are critically in need of them. It is certainly is an ambitious plan. With just over 7GW installed, the industry needs to install 2GW a year from 2020 to reach that target. The plan also points out, without rubbing faces in the dirt, that new nuclear capacity, and carbon capture and storage, have not proven to be viable cost-efficient alternatives. The case was well made at Manchester. A "no brainer", Baroness Brown, a leading member of the country’s renewables supporters, described it. But before you get to the brains, you have to reach the ears. And while UK policymakers are drowning in the white noise of Brexit — which will undoubtedly have some effect on the European energy market — and while they remain captive to the lobbying powers of the fossil fuel and nuclear industries, offshore wind’s clarion cry will struggle to be heard.